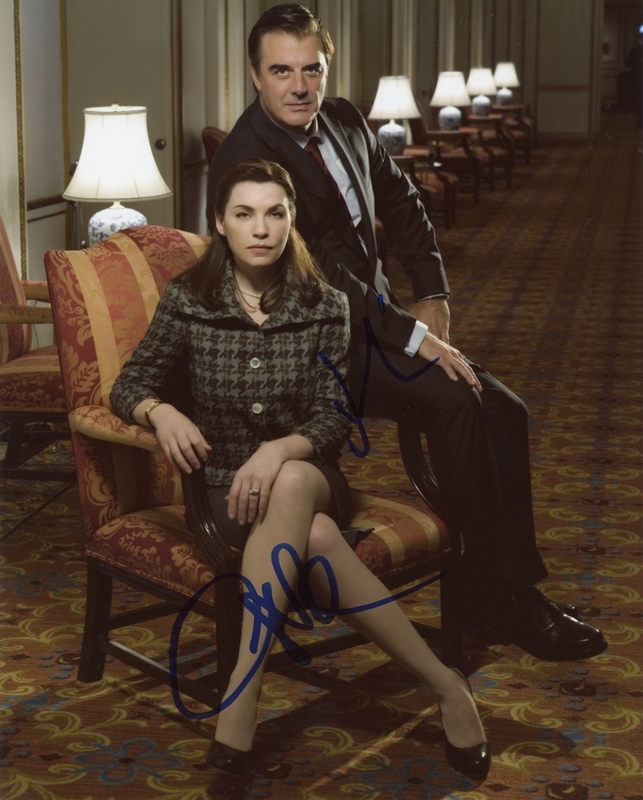 We never sell copies or reproductions of any kind; this photo has been hand-signed by Julianna Margulies & Chris Noth. Julianna signed this photo at Live with Kelly & Michael in New York City on September 27, 2013. Chris autographed this picture at a screening for Lovelace in New York City on July 30, 2013.